My Customer paid into my Bank Account with out providing a Remittance and there was a balance left over which I put to Unallocated. Months later they have come back and said it was to pay off another Account. 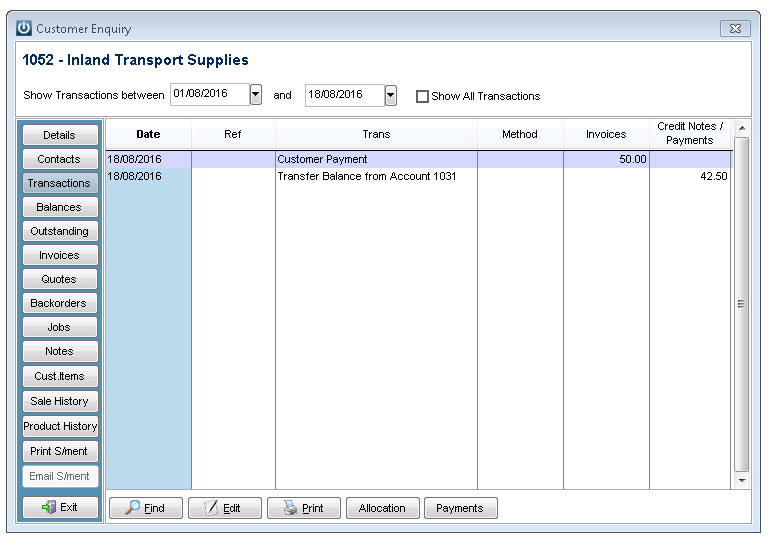 I am unable to delete the Customer Payment, how do I deal with this? 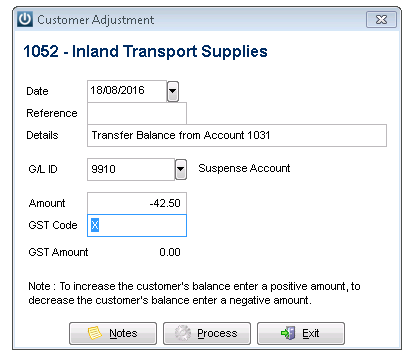 Using the Suspense GL Code is recommended as it is a straight in and out transaction, locate by using the drop down arrow. 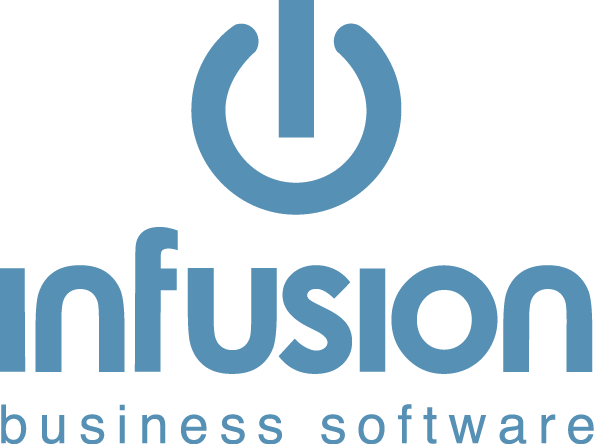 The information entered in the Details will show in the Trans line of the Customer Enquiry screen. 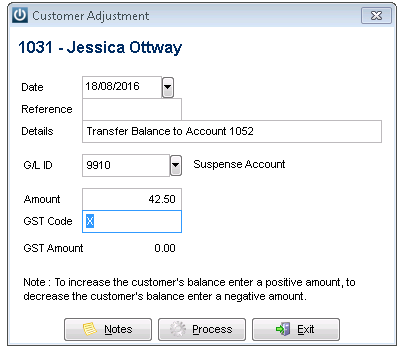 The Customer Accounts now record the correct balances and as above the Suspense Account records an in and out transaction.